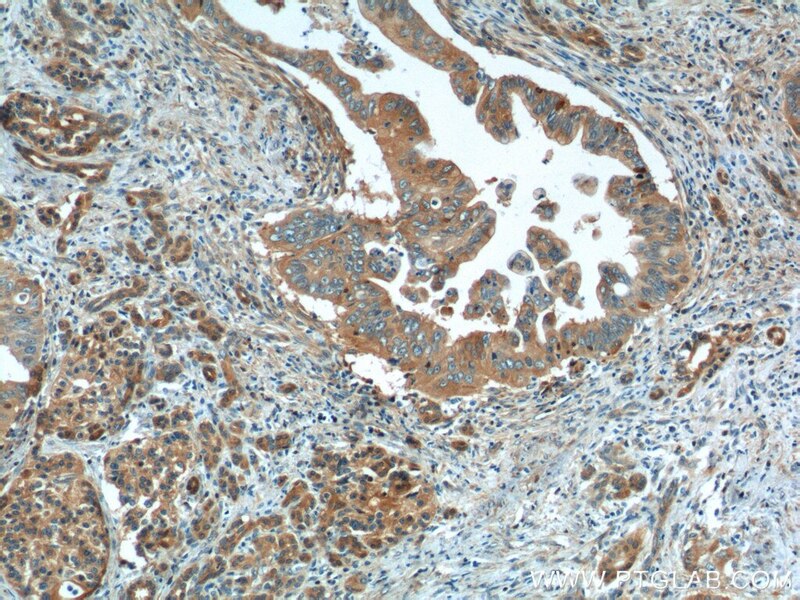 Immunohistochemical analysis of paraffin-embedded human pancreas cancer tissue slide using 60293-1-Ig( OPTN Antibody) at dilution of 1:200 (under 10x lens). 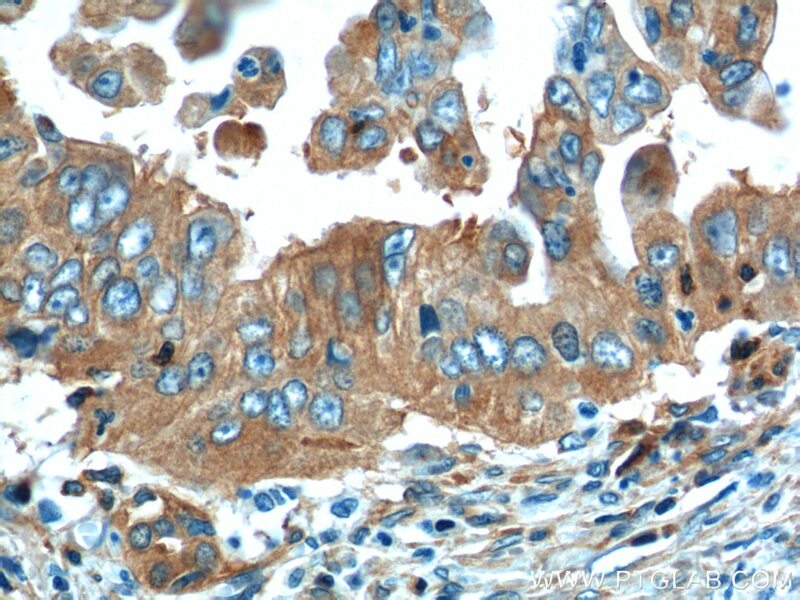 Immunohistochemical analysis of paraffin-embedded human pancreas cancer tissue slide using 60293-1-Ig( OPTN Antibody) at dilution of 1:200 (under 40x lens). OPTN, also named as FIP2, GLC1E, HIP7, HYPL and NRP, plays a neuroprotective role in the eye and optic nerve. It is probably part of the TNF-alpha signaling pathway that can shift the equilibrium toward induction of cell death. OPTN may act by regulating membrane trafficking and cellular morphogenesis via a complex that contains Rab8 and hungtingtin (HD). 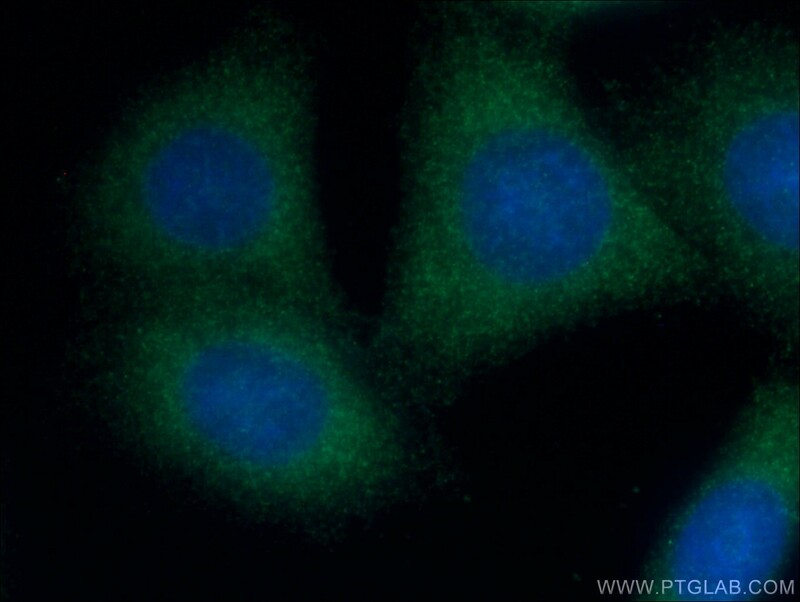 OPTN may constitute a cellular target for adenovirus E3 14.7, an inhibitor of TNF-alpha functions, thereby affecting cell death. Defects in OPTN are the cause of primary open angle glaucoma type 1E (GLC1E). Defects in OPTN are a cause of susceptibility to normal pressure glaucoma (NPG). OPTN mutated in adult-onset primary open angle glaucoma. It supports the protective role of OPTN in the trabecular meshwork. 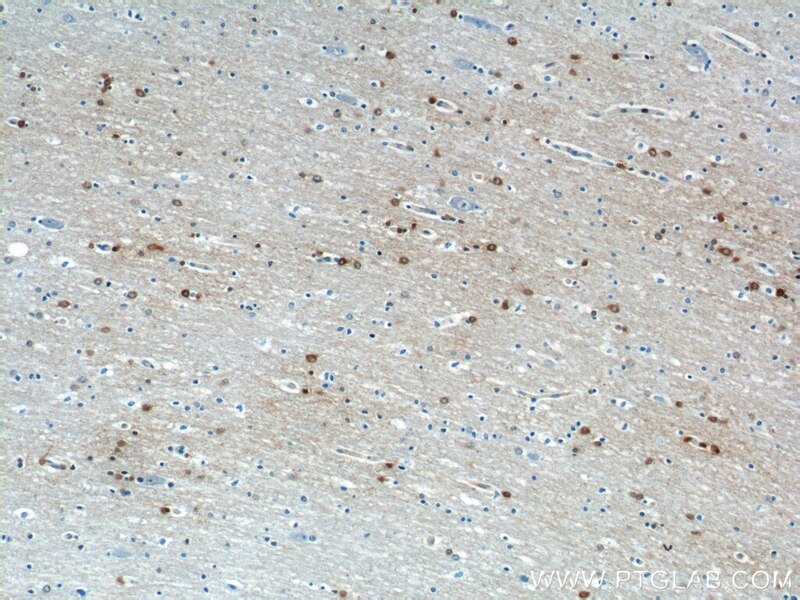 Immunohistochemical analysis of paraffin-embedded human brain tissue slide using 60293-1-Ig( OPTN Antibody) at dilution of 1:200 (under 10x lens). 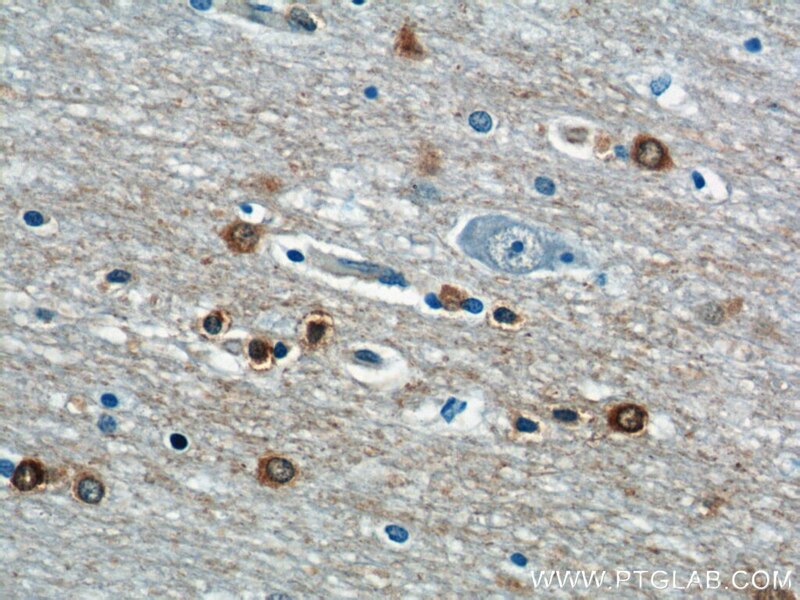 Immunohistochemical analysis of paraffin-embedded human brain tissue slide using 60293-1-Ig( OPTN Antibody) at dilution of 1:200 (under 40x lens).